October 03, 2018, 6:30 p.m.
“The Big Bang Theory” showrunners and cast recently announced that the current 12th season will be the show’s last. And it will be sorely missed by many Americans -- the show is the second-most popular sitcom in the US, according to YouGov Ratings. Nearly all (96%) of Americans are familiar with the show, and over half (53%) have a positive opinion of it. 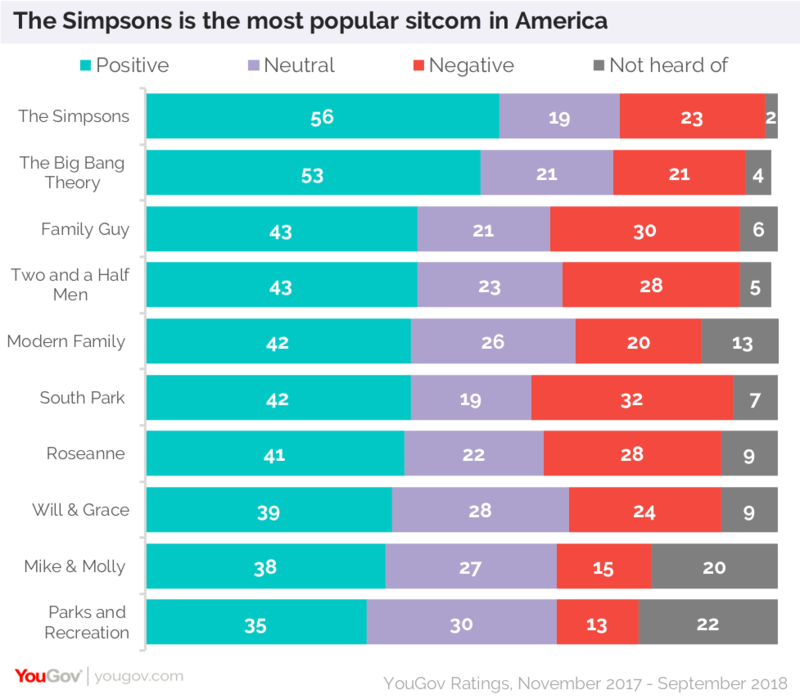 The only sitcom that is more popular is “The Simpsons,” with 56% saying they have a positive impression of it. “Family Guy” (43% positive), “Two and a Half Men” (43%) and “Modern Family” (42%) are also popular among Americans. “South Park” is the most negatively-viewed sitcom in the top ten, with 32% saying they have a negative opinion of the show. However, the number of people with positive opinions of the show was considerably higher, at 42%. “Roseanne” (41%), “Will & Grace” (39%), “Mike & Molly” (38%) and “Parks and Recreation” (35%) round out the top ten most popular sitcoms in the US. “The Big Bang Theory” tends to be especially popular with Gen X’ers, 60% of whom have a favorable opinion of the show. Slightly fewer millennials (54%) and baby boomers (51%) feel the same. 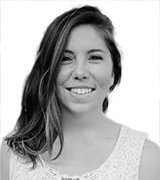 The show also tends to be very slightly more popular among women, 54% of whom have a positive opinion of the show, making it the most popular sitcom amongst women in the US. The most popular sitcom amongst men was “The Simpsons”, with 64% of men viewing it favorably. Learn more about YouGov Ratings and see the full list of 522 popular contemporary TV shows.